Trick “N Racy Cars Club is pleased to announce that it has awarded three annual scholarships to three deserving Clackamas Community College students studying in the Automotive program for the 2016-2017 school year. The recipients are Tanner Burdick, Adrian Camacho and Garrett Watson. Each student selected had strong academic credential and interest in the school’s car repair programs as well as a strong desire to improve their lives through education. Congratulations to these hard working students who are working to improve their lives. 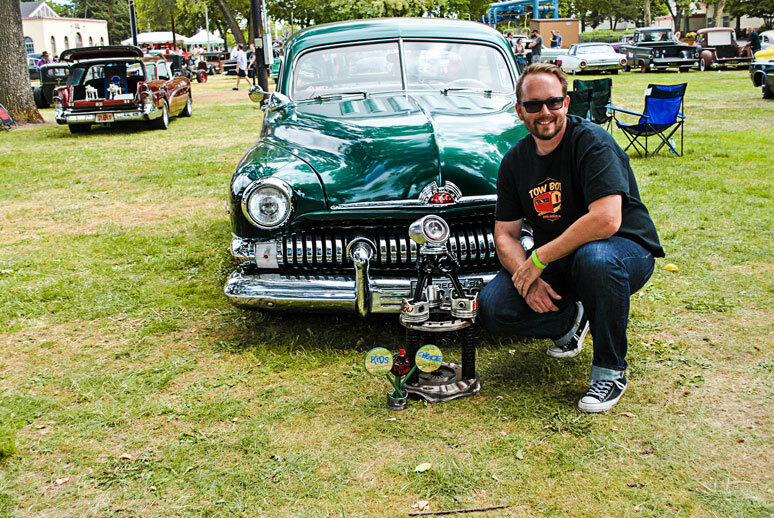 The 29th WESCO Pacific Northwest Nationals is “in the can” as they say. 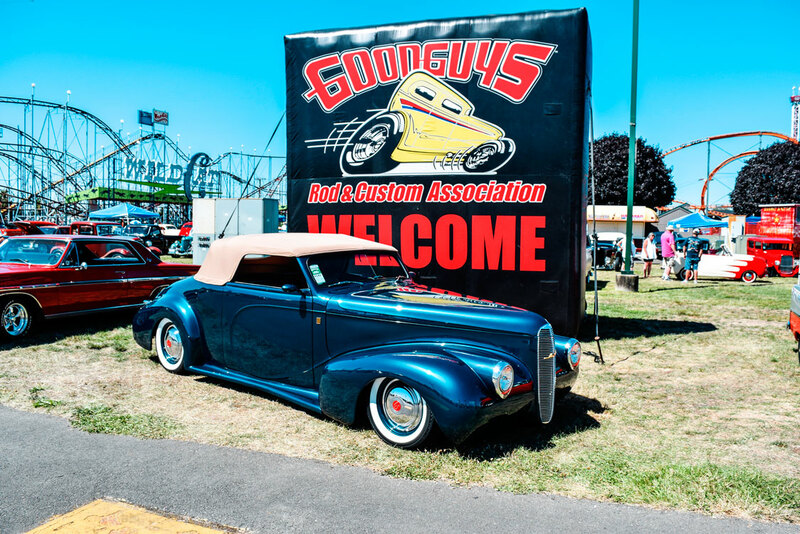 I’ve been going to these Goodguys Rod & Custom Association for a lot of years now and I think this year’s show was maybe bigger, more cars, than any I’ve been to in recent years. The number and quality of cars present was pretty impressive. The Swap meet grew this year too. 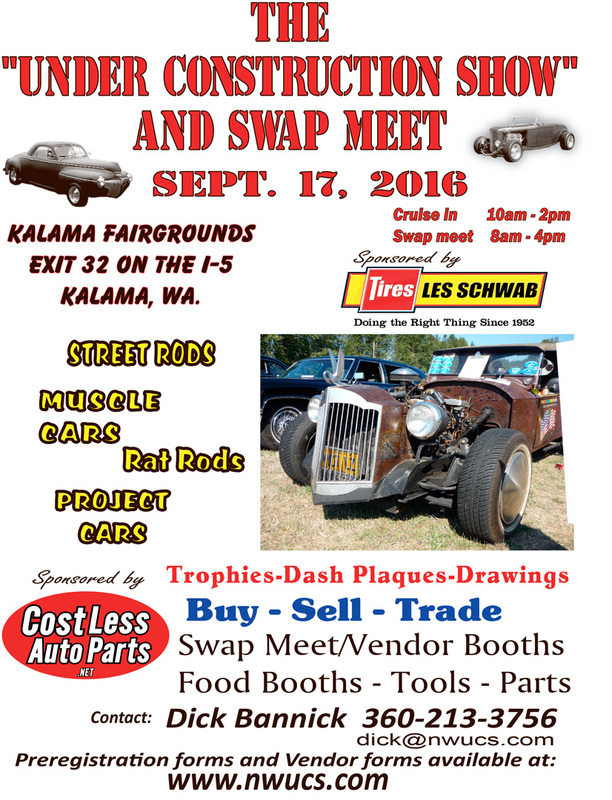 A few more parts, more cars for sale and more people. I’m always impressed with the quality of cars that come from Canada. Our brothers from up north really turn out some fantastic builds and I’m glad they come to the US to share their work with us. 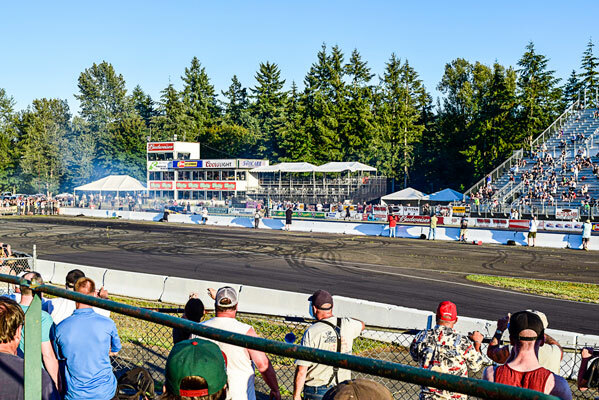 This year I attended the drag races on Friday night at the Pacific Raceway, formerly SIR, Seattle International Raceway. It seemed like a “run what ya brung” kinda race. There were some amazingly fast cars there, some with a turbo or two, and blowers and then there were some that had trouble getting out of their own way. But it was fun just the same. A couple pro-mod cars were just frighteningly fast but certainly fun to watch. A few of my friends brought their cars and picked a great spot in the shade to park since it was quite warm this year. I like going to these big shows like this because of all the vendors in attendance. When the big companies come and bring their big trailers full of product it’s great. You get to speak directly to someone with a lot of knowledge and you can get an up close look at the parts. More vendors ought to put these shows on the AD budget. It may or may not produce an instant boost in sales but I’ll bet it produces sales going forward for some time. I’m living proof of that. I checked out the Flowmaster display and learned all I could about what I wanted for my truck. I didn’t buy them at the show but I did buy them some months later when I was ready, all because of the info I got at a manufacturers booth at a car show. 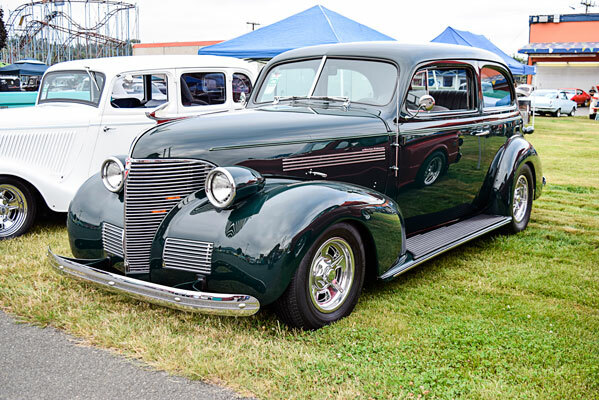 Put the Goodguys 30th Annual Pacific Northwest Nationals on your July 2017 calendar and look for the exact dates in Roddin’ & Racin’ NorthWest in the spring next year. More coverage next month. 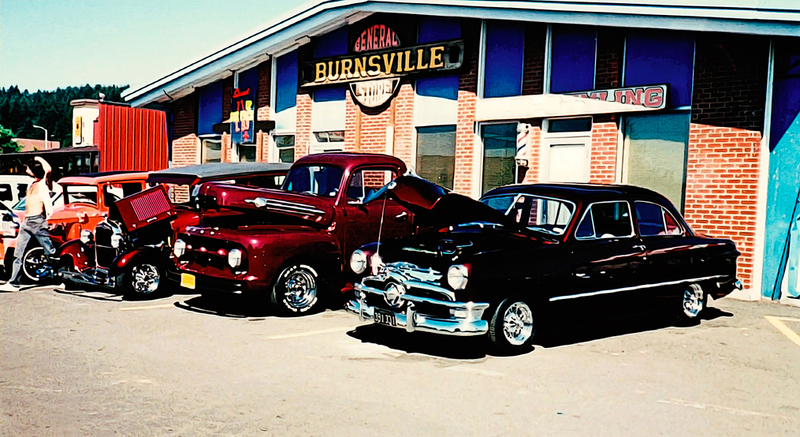 There are many flavors of car enthusiasts. 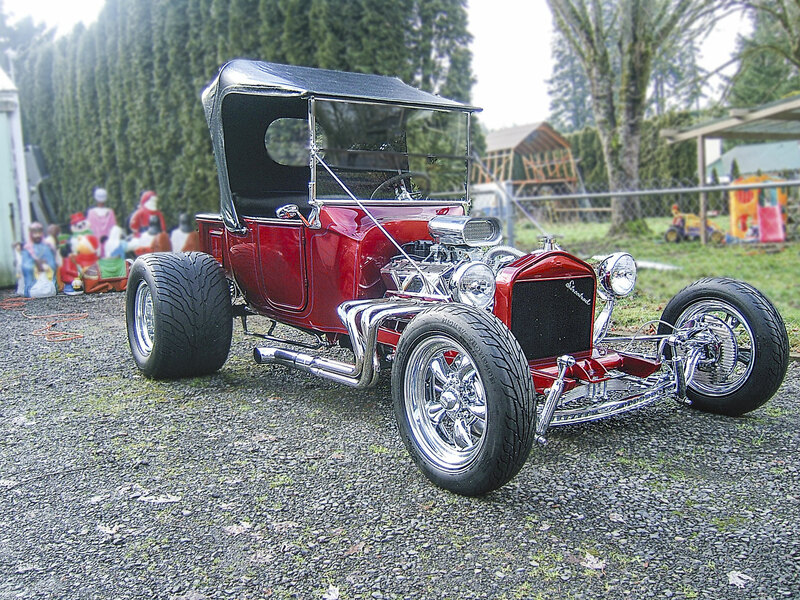 Some devote their loyalty to Model A pristine vintage, some like the new souped-up imports and then there are hot rodders. 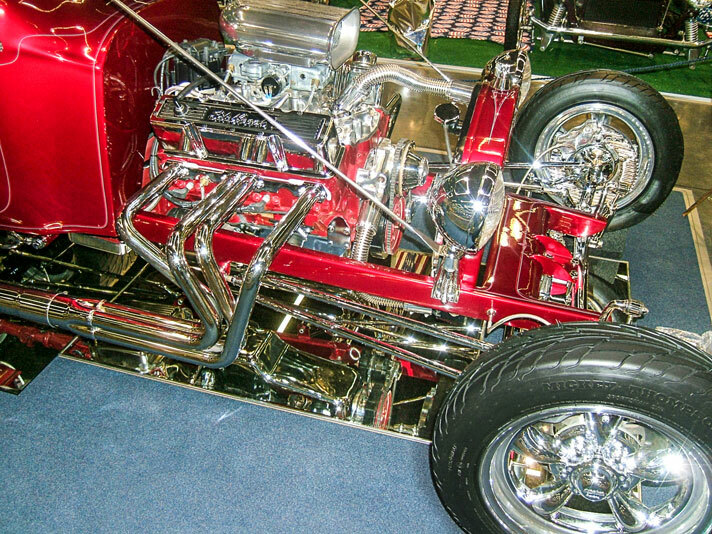 Some hot rodders pledge allegiance to traditions while others create their own frankenstein dream kustoms. 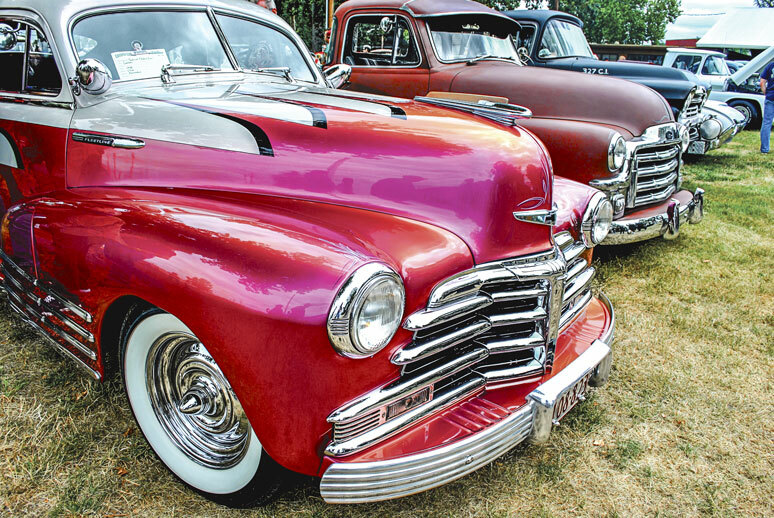 Events like Rust O Rama put on by the Cherry City Bombers car club feature their own niche of hot rodder that should not be overlooked. 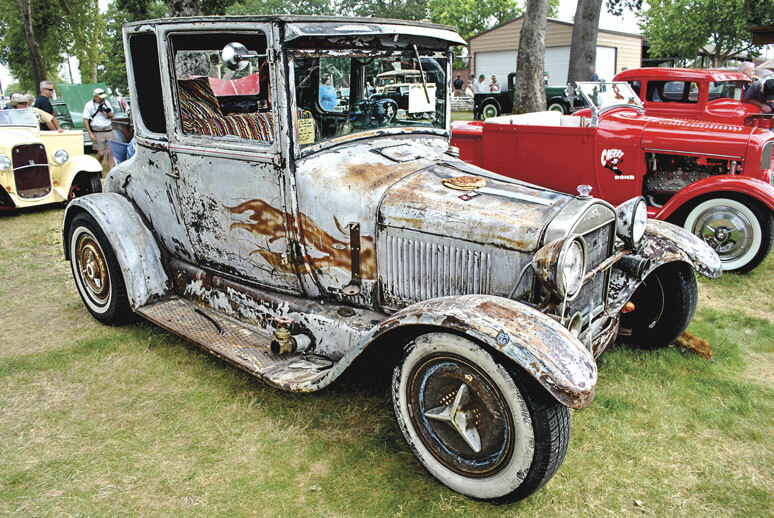 The cars and the people at the 8th annual Rust O Rama are a mix of eras and style. Some are clean and polished with a little detailing that sets them apart, others go for the extreme rusty and rough look. 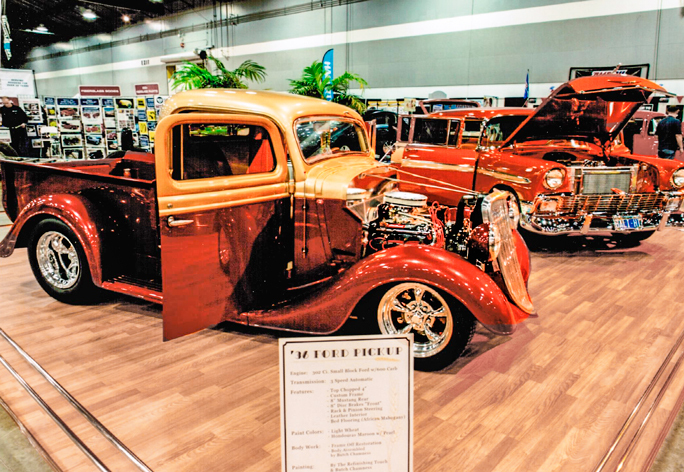 Each car and their driver has no shortage of personality showing, and it is interesting to walk the rows of vehicles and observe just how different people’s tastes can be. The car club makes it a point to have ongoing entertainment throughout the day. Music, a mobile tattoo parlor, vendors of clothing and jewelry, pinstripers, a hairstylist, and the ever-entertaining pinup contest. Each year, the Bombers pick a charity to feature. This year the foundation of choice is called Magic Wheelchair who make Hollywood- grade costumes for children bound to wheelchairs. 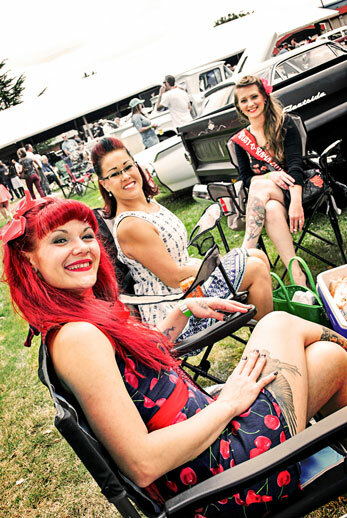 The pinup contest- like the car show itself- helps gain awareness for the cause. This year I personally dressed up and participated as one of eleven pinups. Dawning my hair sprayed curls and extreme eyeliner was well worth the $173 that we girls collectively raised for Magic Wheelchair. 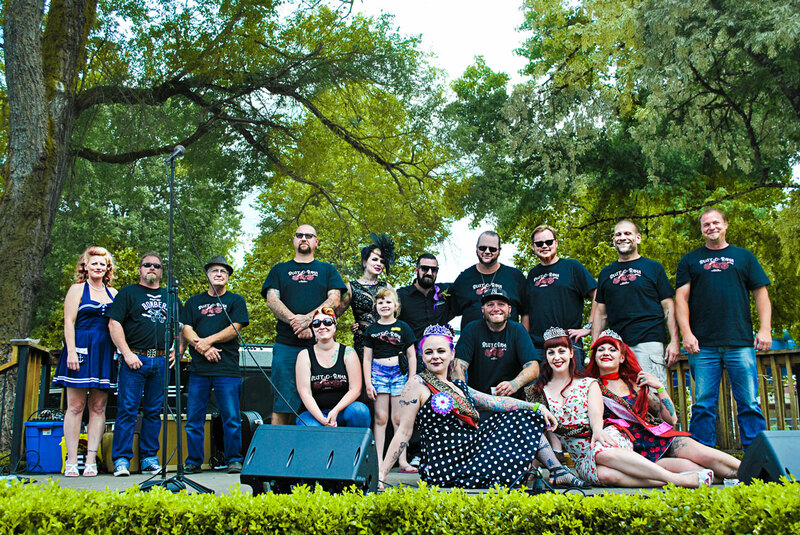 As the finale to the day, two members of the car club got married right on the rockabilly stage, all while celebrating and welcoming anyone that wanted to be present. I could not ask for a more unique grouping of cars and people to be around for an afternoon. So when this event rolls around next year, come on down to Salem to support charity, get a tattoo, or simply people watch. It is never short of entertaining. They said it couldn’t be done. When Ron Huegli, curator of the World of Speed museum in Wilsonville, Oregon suggested putting together a grid of thirty three cars in honor of the 100th running of the Indianapolis 500, who among us wasn’t skeptical? I know I was. If successful, it would be biggest assemblage of Champ Car machinery on the west coast since the days of Ontario Speedway. It’s a safe bet that neither Long Beach nor PIR ever drew that many entries. The Sampson “16” Special evolved from the “more is better” school of thought. The “16” represent sixteen cylinders, literally two Miller V-8’s mounted side by side. 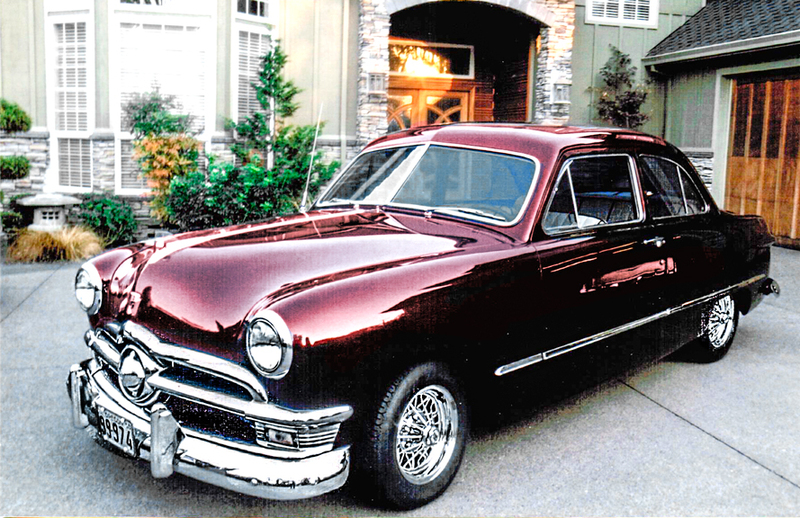 Alden Sampson had been experimenting with this concept since 1930 and in ’34 garnered a fourth place finish. The Stevens chassis on display was qualified by Bob Swanson in 1939 & ’40 (finishing 6th), Deacon Litz in ’41 and popular Sam Hanks after the war in ’46. With sponsorship from band leader Spike Jones, Hanks qualified a remarkable third fastest but unfortunately was one of the first cars to fall out. 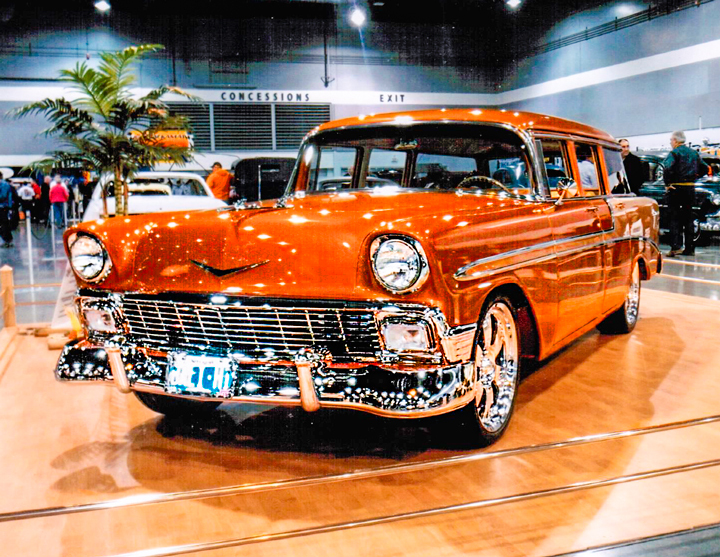 The Howard Keck entry on the turntable is a classic example of a car from “The Cucumber Era”. This Deidt built Offenhauser never qualified slower than seventh in four starts and only finished outside the top ten once. Jimmy Jackson drove in 1948 and ’49. In 1950 Mauri Rose qualified and finished third in this early Pennzoil livery. Sadly a collapsed spoked wheel sidelined Rose in ’51. Mack Hellings was a close friend of car owner C. George Tuffanelli and had driven for him in previous 500’s. The maroon and gold leaf #19 Deidt chassis qualified 23rd in 1951 but retired early. When Hellings crashed to his death in another car six months later, Tuffanelli was so devastated he never ran his Indy car again. Murrell Belanger’s cars compete at the same time as the aforementioned Deidt cars but had a leaner appearance. There was a Belanger Special in every 500 from 1947 through ’54 with legends like Tony Bettenhausen and Duane Carter handling the driving chores. Lee Wallard won Indy outright for Belanger in 1951 so this Lujie Lesovsky creation first appeared with a numeral #1 on its flanks. Carter qualified sixth and finished fourth in ’52 but it was downhill from there. Two years later, renumbered #97, Walt Faulkner failed to qualify. This #99 Norm Demler Special is a perfect example of Quin Epperly’s “Laydown” design that was dominate in the late fifties. 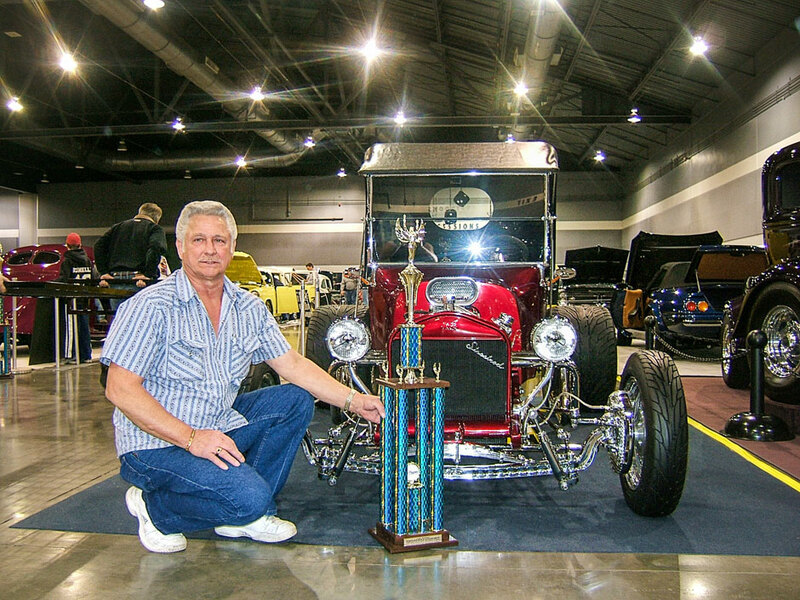 With Portlander George Amick at the controls followed by Paul Goldsmith, this roadster finished in the top five, three consecutive years. Jim Hurtubise qualified it in the front row for 1961 but finished 22nd. It missed the show the next two years then reappeared in 1966 with a General Electric turbine engine under the hood. Veteran Bill Cheesbourg took it out for a few fast laps but no qualifying attempt was made. World Champion Formula One driver Jack Brabham entered this small displacement Cooper Climax in the 1961 500. The steady Aussie had a lackluster afternoon, holding his own through the turns and getting blown off on the straightaways. He started 13th and finished ninth- nothing earth shattering but Brabham is credited with starting the (modern day) rear engine revolution. 1964 was the first year Portland short track racers Rolla Vollstedt and Len Sutton entered a car in the Indianapolis 500. Built in Vollstedt’s basement, the rear-engined Offenhauser was a respectable effort put together on a shoestring budget. Capable Sutton (second in 1962) qualified eighth fastest but fell out with fuel pump woes. Canadian Billy Foster qualified the car sixth the following year but he too succumbed to mechanical failure. Oregonian Art Pollard took over the car (now renumbered #44) in 1966 and missed the show by qualifying too slowly. This car is in unrestored condition and looks exactly as it did when Pollard climbed out of it fifty years ago. Established Indy Car builder A.J. Watson observed Vollstedt’s design at a pre-500 tire test and endeavored to build his own rear-engined cars for the 1964 500. Watson installed a four cam Ford in his #2 racer and two-time Indy winner Roger Ward was retained to drive. The effort was successful with Ward setting third fast time and placing second in the race. Watson was awarded builder of the year but ultimately turned that prize over to Vollstedt, admitting that his entry was essentially a copy. Vollstedt’s second effort (#16) for 1965 was leaner and meaner, this time powered by a state-of-the-art four cammer. He again signed Bryant Heating as his primary sponsor and Sutton as driver. The race was not without its issues but Sutton was running at the finish and credited with twelfth. A year later Foster qualified the car in the same position but was knocked out in the first lap debacle on the front straightaway. Andy Granatelli’s Lotus Turbine 56 (#20 as driven by Art Pollard) was probably the coolest race car a twelve year old kid could imagine. It blew my mind. The clean, simplicity of the wedge design, the four-wheel-drive, the turbine engine, the day-glo paint…whew! Lotus man Colin Chapman deserves most of the credit. This shape influenced all forms of racing and even street car design. Pollard qualified 11th with no practice and his teammates Joe Leonard and Graham Hill started in the first and second slots. The turbines failed about ten laps short of the finish but what an impact they had on the sport. This is perhaps the most historically significant race car in the exhibit. The side trim on the Barn Find 55 had more than its share of dents as you can see in the pictures. I Thought that the one that’s smashed and bent almost to a 90-degree bend, was just scrap metal, but I decided to show it to Ron Wagner of Ron Wagner Fabrications to see what he thought. He said he could fix it. Well, as you can see he indeed did fix it. Amazing! And it’s beautiful. He gave me a tour and showed me his shop and equipment. Ron has been doing this type of repair for many years. He explained that he can even make you a new part, from scratch, if he has a pattern. 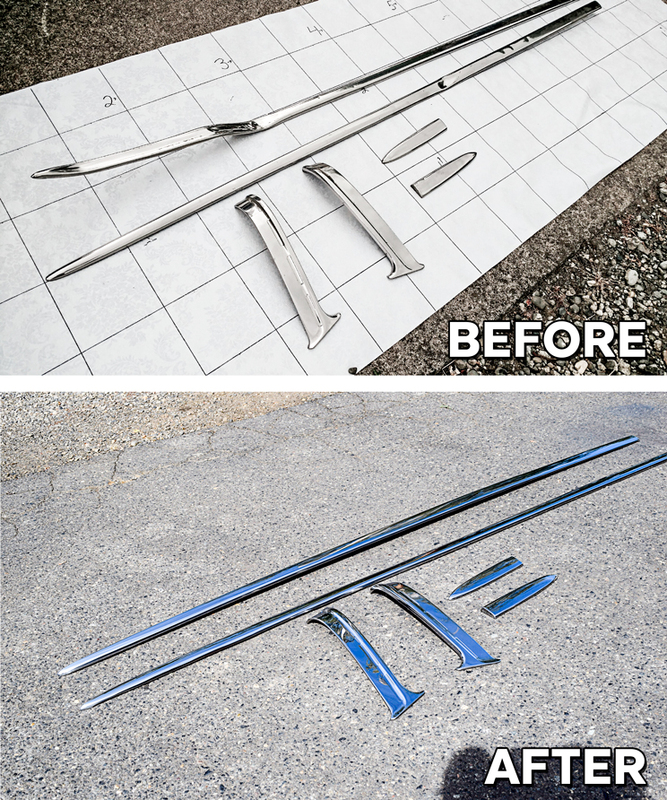 Ron creates dies as needed to repair or build your damaged or missing trim piece for your car or truck. Hopefully if you are a Motorsports enthusiast you are well aware of the Recognizing the Protection of Motorsports Act of 2016 , HR- 4715. This act introduced by US Representative Patrick McHenry (R- NC) is the flagship for our battle against the EPA’s attempt to keep us from modifying and racing modern cars. In an age where monolithic mega-corporations are jumping into the car building business—including many unlikely ones like Google, we must be ever more vigilant. We now have massive corporations joining together in Partnerships to produce autonomous cars. The most of us are aware of the man who loved his Tesla sports car and was cut in half when it drove itself underneath a big truck. In the future our government will be attempting to force these kinds of cars on all of us, effectively wresting from us the ability to even control our own cars as they drive down the street. Consider this additional complication now showing up in our Millennials. We have a generation of humans that are gradually losing their grip strength because they do not do much more with their hands than hold a cellphone. It could be that in the future they will not even have enough strength to wrap their hands around the steering wheel. Can you imagine that? The RPM Act is but one battle in the war against the EPA’s ever-increasing power grabs. If we win this one , you can be assured that the EPA will turn around and hit us from another direction. It is more important than ever that we all remain informed as we move on into our future. So GearHeads, if you have not yet gone over to SEMA.com and provided your information to send a letter to your Congress people, you should do so now. It’s on you. SEMA has made it easy for you. It will take all of a minute for you to fill in your information and they will do the hard part, sending letters off to your representatives for you. Okay?